At Melka’s Roofing, we use the industries top products and brands to ensure that our projects are completed at the highest quality – flexible to scale for any household’s budget. 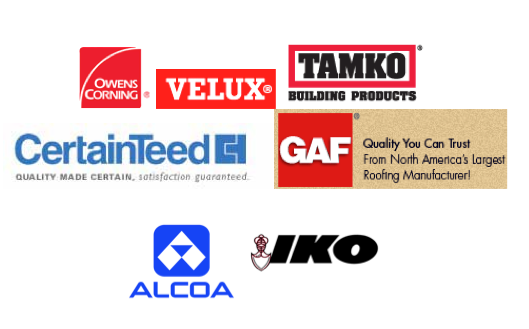 Below are the most used shingles, gutters and other siding supplies we routinely use. We are the market leader in the manufacturing of skylights and roof windows. Available to builders, architects, merchants and consumers throughout the United States, the skylights and roof windows are complemented by a complete range of blinds, electronic accessories, solar panels and shades.